As most adults know, achieving happiness and being successful can be harder than it looks! But maybe it doesn’t have to be as difficult as we imagine, what if we could harness the powers of the ‘Law of Attraction’, to enable our dreams into reality? Dreams, goals, ambitions – however you want to label them are very unique to you as a person, and as such whether you achieve these lofty ideals is also up to you, no one else can make it happen for you! Now is the time to ‘Think Big’! It is okay to set a goal that could make a real change to your future, you don’t have to start with something small. You want to choose something that will push you outside of your comfort zone. Every day, you should visualise what it is you are trying to achieve. You should focus all of your energy on the task in hand. Even during periods of meditation, use the quiet time to meditate on your dream, until you get to the point that it is unthinkable that you would not realise your ambition. At the core of Law of Attraction principles, is visualising yourself succeeding, being positive, and rejecting the idea that you might not achieve. If your mind is constantly cluttered with negative thoughts, and your normal mindset is I cannot do this, this won’t happen for me etc, then this in itself can stop you from achieving your potential. Of course, clearing you mind, being positive all of the time, deflecting negative thought patterns, and stopping bad habits, all takes time. 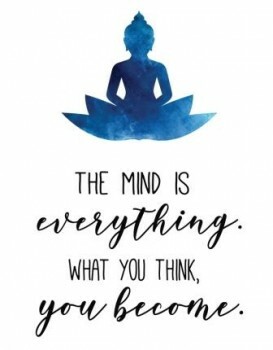 Which is why harnessing the Law of Attraction is not a short-cut, it is something that has to be used mindfully, practised every day until the positive mind-set becomes your natural default position. This sounds like a negative principle to take on board, but really it is demonstrating that you may not achieve your dreams and goals straight away. There may be knock backs along the way, but you should accept this as part of the growing process and continue on your path. An obstacle placed in your way should merely be viewed as a juncture in your path. Choose the direction that is going to get you your dream. Each day, set out to be better than you were yesterday, all of us will constantly evolve, will learn new things and will grow as an individual. Continuing to strengthen your abilities, listening to others, learning from your mistakes is all part of the journey. Using the Law of Attraction principles is exciting and rewarding, don’t be frightened by the concept, and don’t put off until tomorrow what you could start today. Pick a goal that is personal to you, and get going!